Lacrimal apparatus anatomy, artwork. 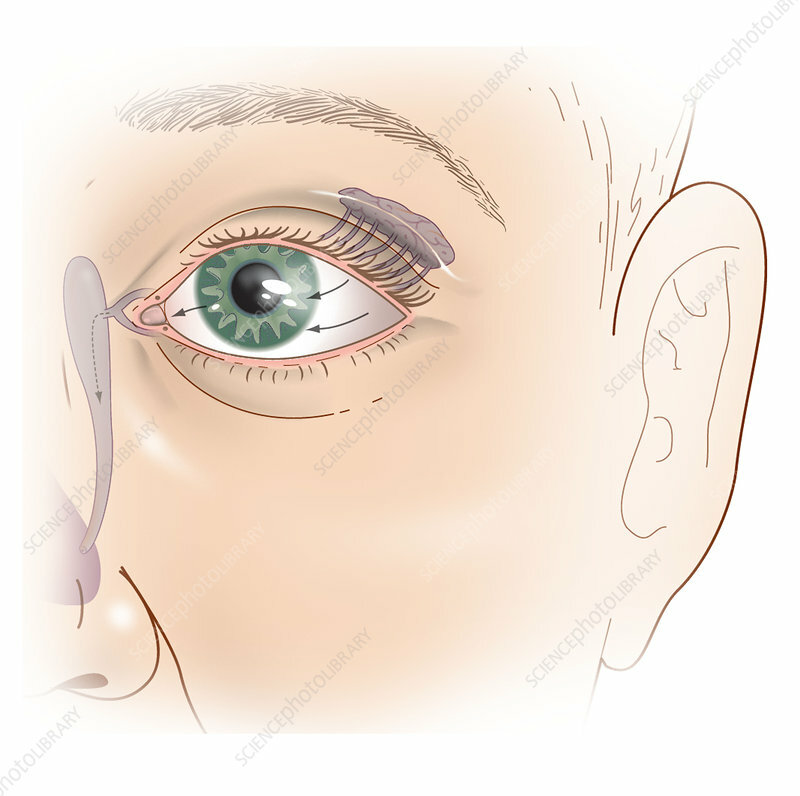 The lacrimal gland (upper centre, grey) releases tears directly onto the surface of the eye (the conjunctiva) through tiny ducts in the eyelid (upper centre). Tears are a salty antiseptic solution that cleans and moistens the eye, preventing infection and damage. The lacrimal sac (grey, down left) collects tears as they pass across the conjunctiva (arrows), draining into the nasal cavity.